After the site meeting a programme of works were established to work around the busy service yard area so wagons were not marooned in situ. 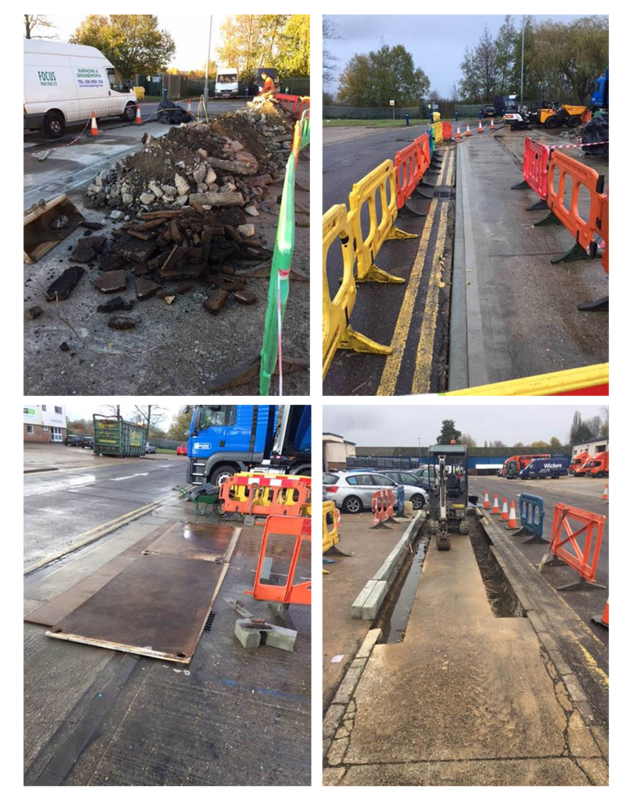 Steel plates were strategically placed after each working day and the works were protected by Chapter Eight barriers until fully cured then handed back to the client. This was a difficult job due to the amount of vehicles on a day to day basis coming to and from site.